FAO of the UN is working with several partners to facilitate awareness, to foster capacity development activities, and to make agriculture and nutrition data available, accessible and usable to contribute to enhanced food security and good nutrition. Two national AGORA workshops were recently held in Cairo aimed at enhancing access and use of resources available on AGORA and Research4Life. The workshops were funded by the Research4Life Capacity Development Team and by FAO. 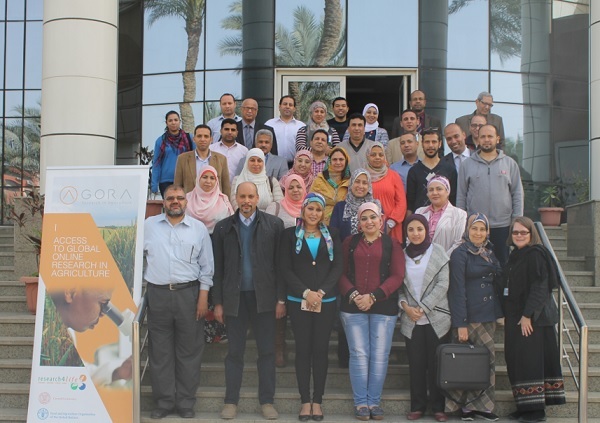 The workshops on AGORA and Research4Life were hosted by the National Agricultural Research Centre (ARC) of Egypt and organized by the AGORA team with FAO Egypt. Participation in the workshop was by invitation from FAO Egypt, and participants included research scientists, ministry staff, professors and lecturers. About 125 participants attended the two half day workshops. 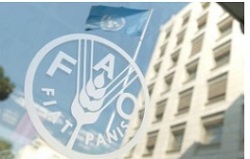 FAO Egypt provided invaluable support in logistics and invitations. AGORA and Research4Life have four new registred institutions from Egypt so far. Researchers, academics, research officers, librarians, IT specialists, other practitioners and students from institutions in AGORA eligible countries, Group A and Group B respectively. The programme Access to Global Online Research in Agriculture (AGORA) was set up by FAO of the UN with major publishers, and provides access to an outstanding digital collection within food, agriculture, environmental science and related social sciences. AGORA provides a collection of 10,459 active key journals and 26,536 e-books to more than to more than 3,100 institutions in more than 115 countries. AGORA is designed to enhance the scholarship of the many thousands of students, faculty and researchers in agriculture and life sciences in the developing world. REGISTER Your institution to Research4Life, to access/use its content from AGORA, HINARI, ARDI, OARE, GOALI contents. Be careful selecting the CORRECT COUNTRY, AREA, or TERRITORY NAME. If it is not listed, it is not eligible for Research4Life programmes. 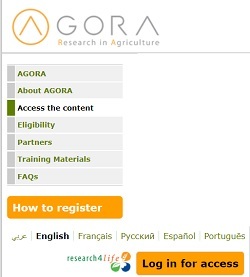 Register to AGORA (Access to Global Online Research in Agriculture) & start using its content. Note that since the new Research4Life authentication system is on - AGORA has also gained some institutions originally registered for other Research4Life Programmes. Consequently, these institutions have now access to AGORA. >> Research4Life provides a Joint Launch Page to enhance your search experience.